Choosing the right gutter installation company is important -- whether you need to replace your old gutters or want to install a brand-new gutter system. Between helping you select the best type of gutters and performing all of the installations, we want to make sure you've chosen a company that is competent and experienced. 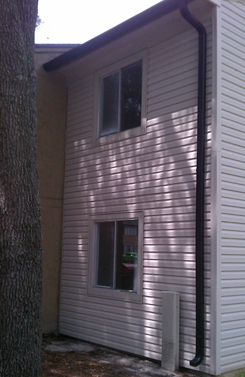 At Gutters & Covers LLC, we have been performing gutter installation in Jacksonville, FL, for nearly 10 years! The gutters for your home or business are essential in maintaining the quality of your structure. Due to our high-quality products, such as Ply Gem gutters, and our expert workmanship, we make sure your new gutters prevent roof water from causing damage to your building. Schedule a consultation today to find out about our gutter types and excellent warranties. With so many types of gutters and products out there, choosing the right one for your home can be difficult, especially if you are not very knowledgeable in that area. You not only want the finished product to be aesthetically pleasing, but you also need the gutter installation to last a long time and function correctly. Having a gutter system that leaks on rainy days will eventually cause severe damage to the roof and structure of your home. Often, the damage is underlying and is only detected when it is too late. If the destruction is severe, it could wind up costing you thousands on repairs to your home. Rely on our experienced staff at our gutter installation company to have a look and make recommendations on what works the best for your needs. With our quality products, you can feel confident your new gutter system will properly drain all water and completely protect your structure from future water damage. Our high-performance brand also offers a 20-year manufacturer warranty and a 15-year warranty on labor! Jacksonville residents looking for long-lasting, professional gutter installations can count on Gutters & Covers LLC for all of their gutter needs. Sometimes, gutters are so old or badly damaged that repairing them is not the best option. In that case, you’ll require more than gutter repair for your home. Our gutter replacement team offers efficient and affordable services when your gutters need a complete makeover. When you entrust the upcoming gutter installation to us, you can feel confident that the job is in the best of hands. For nearly a decade, our gutter company has been proud to deliver long-lasting products and exceptional workmanship. We utilize proven techniques and tools every step of the way, producing a complete gutter system that continues to satisfy far into the future. 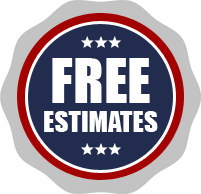 Contact us to receive a free estimate on gutter installation. We proudly serve customers throughout Jacksonville, FL, as well as Ponte Vedra, St. Augustine, Orange Park, Jacksonville Beach, Atlantic Beach, and the surrounding areas.